Sirdar Kapur Singh, National Professor of Sikhism, author of Sachi Sakhi, Prasharprashana, at the launch of Panj Kaunsali Akali Dal at Patiala. Reminiscing the role and contribution of political thinker and ideologue Sirdar Kapur Singh, Sikh seminary and political groups touched upon various facets of the life and times of Sirdar Kapur Singh. The occasion was 105th birth anniversary of the former ICS and Sikh stalwart. The underlying theme of all discussions and deliberations at the seminar organized by Sikh Youth of Punjab (SYP) hovered around the contribution of Sirdar Kapur Singh towards evolving, enunciating and elucidating the concept of Sikh doctrinal sovereignty. 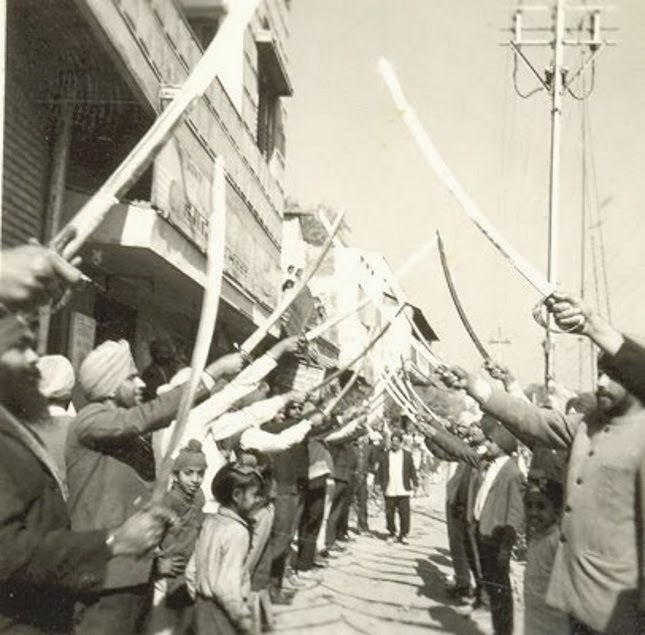 Dal Khalsa president Harcharnjit Singh Dhami, SGPC member Karnail Singh Panjoli, SYP spokesperson Prabhjot Singh, Panch Pardani leader Mandhir Singh, former minister Manjit Singh Calcutta and other contributions dwelled extensively on his life, contribution and political thought. SGPC executive member Panjoli told the audience that he is the only Sikh on which the title of ‘National Professor of Sikhism’ was bestowed by Akal Takht Sahib honouring his profound scholarship of Sikh religio-political thought and his clear espousal of the Sikh cause. He was described as an encyclopedia of world knowledge, who had mastered ancient scripts and modern scientific scholarship and methodology. He was not only a writer but a fighter too, who fought for the Sikh cause at all forums available to him, said he. Recalling the times spent with him,former minister Manjit Singh Calcutta said that, Sirdar Sahib will always remain an inspiration to those who want to see the Khalsa flag unfurl with full glory on this planet. Prabhjot Singh said the political sovereignty of the Sikhs cannot be compromised. A large number of Sikh youth, including those from Sikh Youth of Punjab, who attended the Seminar, were visibly happy at the conclusions drawn at the meet as it provided them an opportunity to imbibe the vast knowledge of Sirdar Kapur Singh. The gathering urged the SGPC to build auditorium and library in the name of Kapur Singh.